Excellent question from one of my clients working on a Word template for their letters, how could the word ‘continued…’ be included automatically on page one of each letter, but only if the letter was longer than a single page? A more standard question is how to include space for the headers and footers of preprinted letterhead stationery on page 1 only. This can be done by ensuring that in the Layout section of File, Page Setup, the ‘Different first page’ option is selected. This allows you to set up empty headers and footers on page one of the right size to allow for the letterhead but, because of the ‘Different first page’ option, they will not appear on subsequent pages. The ‘continued…’ question is not so straightforward. The headers and footers for the letterhead are required on page one, whether there is one page or many pages, but as we have said, the ‘continued…’ should only be included when a second page is needed. After a fair amount of thought, the following solution came to mind. Set up the ‘Different first page’ option as before, and this time, in the appropriate position of the header or footer insert a Word ‘IF’ field. The IF should check whether the number of pages in the document is greater than 1 and if so, include ‘continued…’, and if not omit the word. Be very careful when entering the Word field – forgetting a space or getting the syntax wrong in any other way will probably stop it working properly. 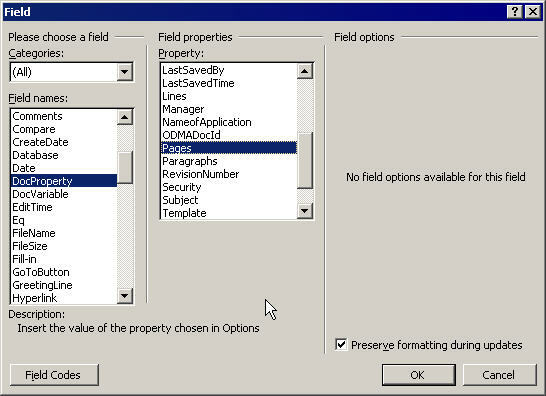 If you are not very familiar with using Word fields, the best method of inserting an IF field is probably to use the Insert, Field option in two stages. 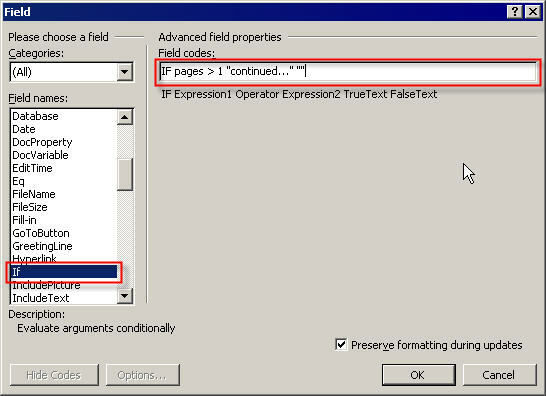 The IF field compares two ‘expressions’ and then prints one item of text if the comparison is evaluated as ‘true’ or a different item of text if it is ‘false’. Now select the entire field, right click, and choose Toggle Field Codes again to toggle back to displaying the result of the field. This entry was posted in Not quite so simple, Office software, Word. Bookmark the permalink. John G, half-thought out or not, it was the answer to the question I was asked. More than happy for you to suggest the other half of the answer. Hi Silver – thanks very much for that suggestion which I think deals with John G’s point admirably. I must admit I had tried something similar to deal with multiple pages but hadn’t got it to work. By taking your suggestion and following my own instructions to implement it, it worked perfectly. 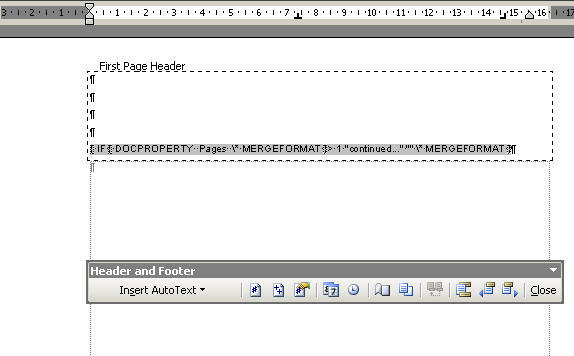 Can I insert the word “continued…” in a footnote using Word 2007? 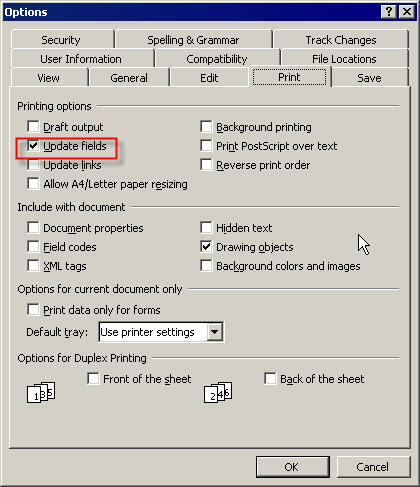 (WordPerfect allows you to do that automatically, if you select Insert > Footnote > Advanced and check the “continued” option. Hi Carl – no built in automatic way that I’ve found yet, but you could set one up as detailed here and then add it to the footer gallery so that it would be readily accessible from then on. I can’t think of any obvious way to do what you need without using VBA code – sorry! 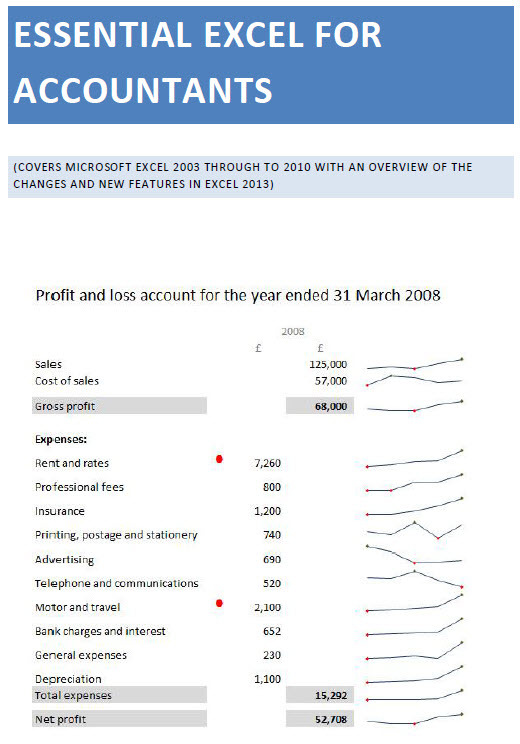 A possible alternative would be to use a style for the final paragraph of each section that includes a border line under the paragraph to show it was the end, but it would depend on users realising that no border meant the section was not finished.